It's 1918, and the world has been overrun by a massive, unending faceless army known only as The Tide. As the war rages on, losses in the ranks of the United Global Forces necessitate more and more drafts, until all distinction between soldier and civilian is lost. 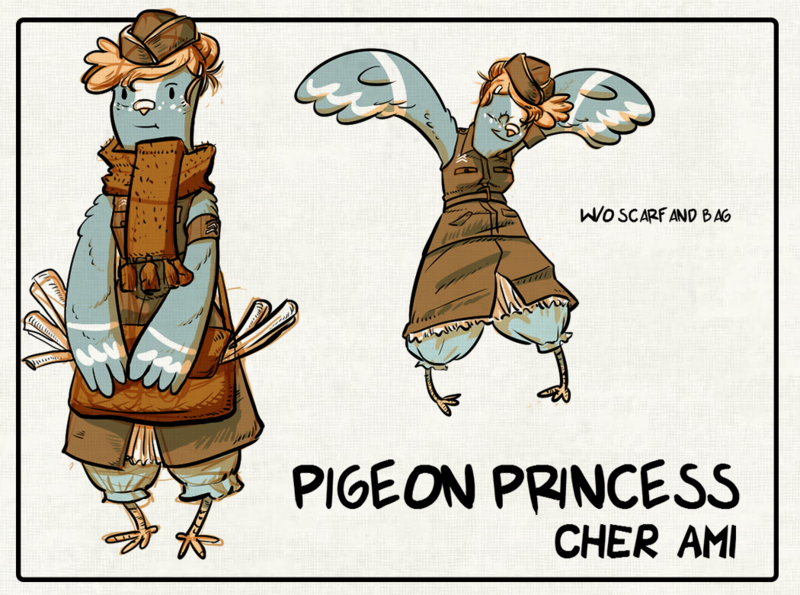 Cher Ami, a princess of Rhône, was conscripted into the Rhône Homing Pigeon Service. It's her job to carry important messages from one trench city to the next. Though brought into the army under a draft, Princess Cher feels an immense sense of duty to those around her. Earnest, relentlessly cheerful and optimistic, Cher always seeks out the silver lining even in times like these.